GDDR5 vs GDDR6 – What is The Difference? Whether you are using a smartphone or a laptop, the graphics cards are an important piece of the system. In fact, they can, in a way, it is termed as the backbone of your display or how you see things on your screen. One of the common and most widely used graphics memory remains to be GDDR5. Now, graphics cards are available in multiple price options that include budget range, medium range, and the ultra high-end range. The recent development in the arena of Graphics cards has been the launch of GDDR6 chips. So, how do GDDR5 vs GDDR6 differ from each other? Let us find out. GDDR5 vs. GDDR6 – What is The Difference? Well, we usually do not get to see them in reality, but you cannot deny the fact that RAM (Random Access Memory) is an essential part of your smartphones, laptops and similar other devices. The GDDR5 memory standard has been the most widely used one and has been the preferred option for most of the device manufacturers. However, the times are moving forward, and there have been new technological advancements. We have been witnessing the launch of new more powerful graphics cards surpassing the current standards. GDDR6 is one of the new graphics-memory types that has been making waves. 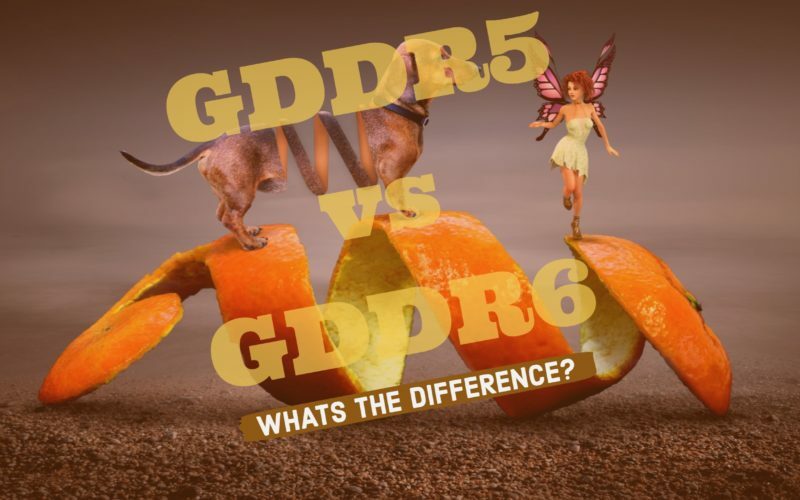 It may be a good idea to compare the GDDR5 and GDDR6 against each other. We will begin checking out the features and capabilities of each of them separately. We stated it already. GDDR5 has been one of the best High-end low latency RAM among the current breed of graphics cards. Continuing the trend of GDDR3 and GDDR4, the new generation graphics card has replaced the older standards. In fact, GDDR3 is now used only in the entry-level devices, while the GDDR4 has almost ceased to be available on OEM designs. GDDR5 is undoubtedly the fastest among the graphics card memory. 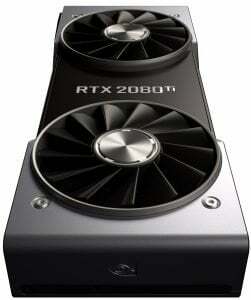 In fact, several graphics card manufacturers including Nvidia have been making use of the technology. The GTX 1060, GTX 1070 and AMD’s RX 580 are some of the choicest examples that we can names that use the GDDR5 memory modules. A few features that would make it a good option is it comes with high bandwidth memory performance. Low power consumption has been one of the key highlights that would make it an exceptional choice. It can offer you speeds of up to 8 GB per sec. The graphics cards are available in multiple sizes viz 512 MB, 1 GB, 2 GB, 4 GB, and 8 GB. It would be worth mentioning that the DDR5 chips are being manufactured by several manufacturers like Samsung, Hynix, ELPIDA or Micron. And yes, DDR5 already has a new advanced version – GDDR5X. High SGRAM and high bandwidth would make it an excellent choice for use in graphics cards in high-performance servers and other advanced units. The GDDR5X standards offer transfer speeds between 10 to 14 GB per sec. The GDDR6 memory has been of recent origin. Samsung has recently announced to this effect. The memory standard is still under development and has been set for a launch in early 2018. It has been a successor to GDDR5 and GDDR5X. The power consumption for the memory standard would be 1.35 Watts. The memory is capable of providing transfer speeds of up to 16 Gbps. The bandwidth supported is up to 72 GB per sec. NVidia has been planning the launch of its Volta series of graphics cards with this standard of advanced memory. The expected applications of the new age memory standard would be in Cryptocurrency mining, high-performance gaming, virtual reality, and artificial intelligence workloads. You should find the new age GDDR6 memory being manufactured by Samsung, Micron, and Hynix. The GDDR6 memory from Samsung and Micron have been planned to offer excellent speeds up to 16 Gbps. Those from Hynix will cater to the regular segment where the speeds will be limited to up to 12 to 14 Gbps. 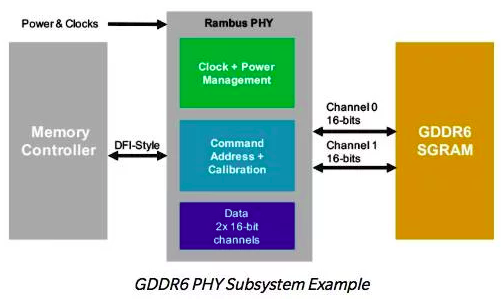 GDDR6 is still just around the corner. Samsung has announced that they will be available soon in the latter half of 2018. Announcements apart, we don’t expect them to be available anytime soon. In the current scenarios, it looks like making them available would take more time than expected. As such, we are not aware as of now, of many features and specifications that the GDDR6 is likely to come up with. However, we have been attempting to compare them based on the available information as things stand as of now. *- Please note that the power consumption differences indicated above are in comparison. *- GRRD5 consumes low power than the old standards. Well, what would we conclude with all those comparisons? Either GDDR5 or GDDR6 (with GDDR5X thrown in between) – both of them are meant and manufactured for high-end performance. They find widespread usage in the several high-end applications such as crypto, machine learning or gaming with heavy physics. Which among them is the best? It will only depend upon the sort of applications you are putting them into. The GDDR6 is designed for the new chip structures where chips are stacked. The GDDR5 memory can be best suited in situations where older technology is used which do not opt for stacked chips. It may be practical enough to expect more GDDR6 memory standards being in the making (GDDR6X?). We would expect the launch of the new GDDR6 standards to be out by the second half of 2018 and implementation of these memories in the graphics cards from NVidia and AMD by the end of 2018. If you think you still have any doubts, do let us know through the comments section. We would try addressing your queries.